There&apos;s no better place to huddle up than 10 miles outside Atlanta in Dunwoody. Choose your linemen (or women) for the weekend and book a room (or two) for your sports staycation. The plush accommodations at our seven hotels are the perfect thing to get everyone&apos;s head in the game. There&apos;s plenty of pre-game action here, and MARTA access to downtown Atlanta is just a few steps. But don&apos;t let the game clock run out on you - rooms are filling up quickly. Visit literally any one of our restaurants and you&apos;ll feel like you won the coin toss. Just stopping through for some bites and a beer before heading to ATL? Or do you prefer to watch the game from the Dunwoody sideline? 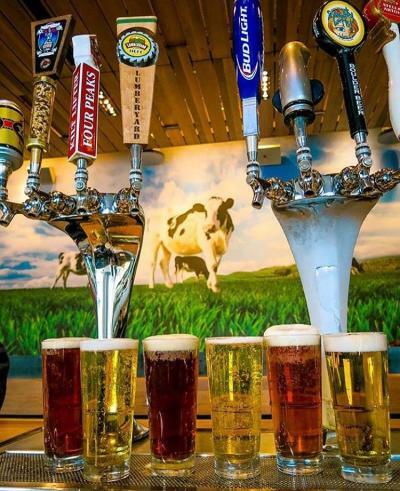 Whether you&apos;re here for the pre-game or post-game celebration, we&apos;ve got several bars and restaurants where you can fan out with friends both new and old. 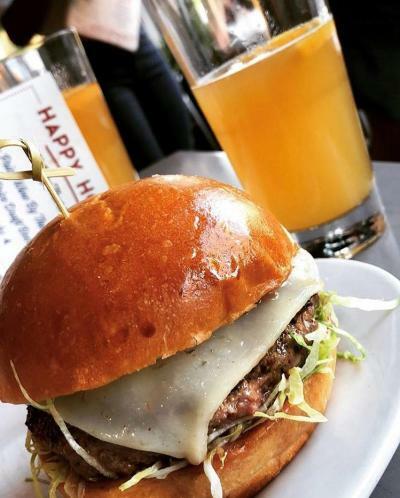 For a classic bar feeling you&apos;ll want to go for classic joints like Dunwoody Tavern, The Bird, Gilly&apos;s, or Moondog Growlers. For something more contemporary, we suggest Brass Tap or Joey D&apos;s Oak Room. Both have 99+ bottles of alcohol on their walls. Take one down and pass it around. And then there&apos;s Zinburger for you burger-and-a-beer fanatics. We tried narrowing some choices down for you, but the options are deliciously endless. Just get out there and play. Go on a short walk or take a shuttle from your hotel over to Perimeter Mall for Caffeine and Octane early on Sunday Morning. It&apos;s the largest monthly car show in North America, and it&apos;s also the only live event taking place on the morning of the Super Bowl. Undoubtedly, you&apos;ll see lots of tricked out sports cars, and 10,000 fans who will be tricked out for the game too. If it&apos;s your first time going to one of these, we&apos;ve got a speed course created just for you. By the time you leave, you&apos;ll be firing on all cylinders. Grab some lunch at one of the nearby restaurants at the mall and head over to our MARTA station, which is conveniently located adjacent to the mall parking lot. This transit system is your all-access pass to downtown Atlanta where you can officially get ready for some football. Atlanta has a full lineup for fun events and activities rivaling the big game itself. For the first time ever, there will be a Super Bowl Music Fest with big name artists from Aerosmith and Bruno Mars to ATL&apos;s very own Ludacris! Performances will take place over the course of 3 nights, and all shows will be at the newly renovated State Farm Arena downtown. There will be even more (FREE) concerts at Centennial Olympic Park - all taking place the week of the game. And when you&apos;re done facing the music, The Super Bowl Experience is another event you won&apos;t want to miss. 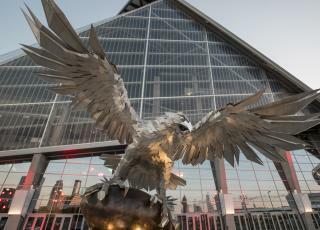 Located at the Georgia World Congress Center, it will be an interactive theme park celebrating Super Bowl LIII. 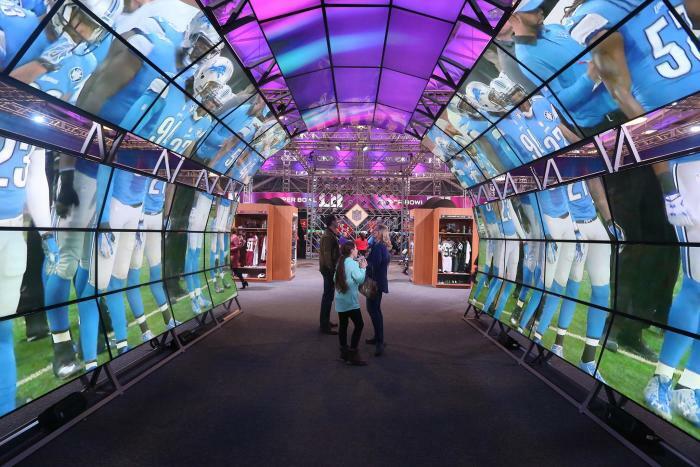 Fans will be able to participate in immersive exhibits and interactive games, take photos with the Vince Lombardi Trophy, collect free NFL player autographs, view all 52 Super Bowl rings and much more! We&apos;ve drawn up some plays, now it&apos;s up to you to execute. The biggest sporting event of the year will be here and gone before we know it. Plan yourself a sports staycation in devotion to Super Bowl LIII now while rooms are still available! Click here for transportation tips, road closures, and everything else you could possible want to know - straight from the Atlanta Super Bowl Host Committee themselves. And as always, share your photos and videos of all the fun with us by using #DiscoverDunwoody. We&apos;ll see you on the sideline!